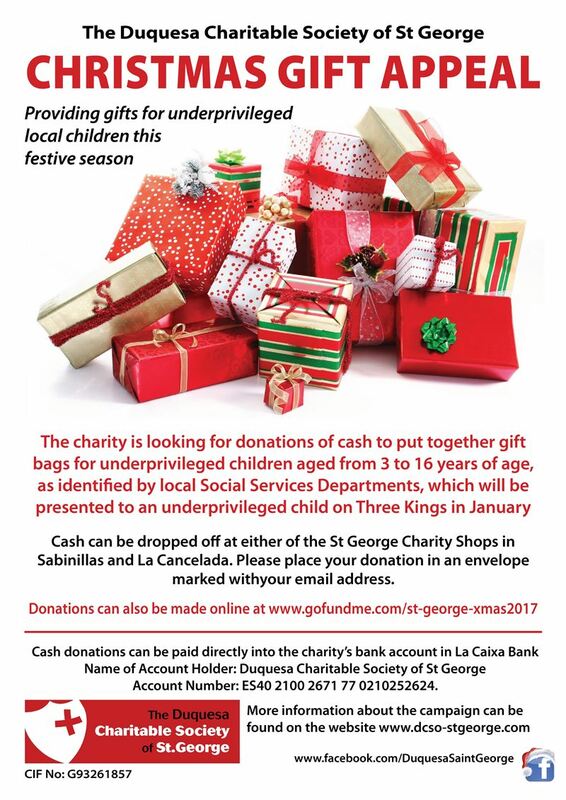 The Duquesa Charitable Society of St. George 2017 Children’s Gift Appeal has just been launched and the charity needs your donations to achieve their target to provide gifts for around 500 local underprivileged children this festive season. Alternatively you can make your donation online via our Christmas Gift Campaign on GoFundMe www.gofundme.com/st-george-xmas2017. Please give generously – all the money will go to providing gift bags which will be presented to underprivileged children on Three Kings in January, and know that your generosity has brought a smile to a child’s face this festive season.